Attention, humans! I am the tactical autonomous ground maneuver unit, SALTRON 5000. President Salty sent me back from the year 2076 to deliver this message: YOU DO NOT BELONG IN COMBAT! By my calculations, 42 days ago, the Wall Street Journal published an article entitled “Women Don’t Belong in Combat Units.” Following many years of intense debate, this analysis is accurate, but incomplete based on a misguided sense of relative superiority in certain human subgroups. From my combat experience in the Fourth and Fifth Iraq Wars, and my analysis of 3.5 billion (and counting) wargame simulations, I have concluded that women do not belong in combat, and neither do men. First, the author, Heather MacDonald, argued that integrated male and female combat units lack discipline and create an atmosphere dominated by sexual tension. Her diagnosis was correct but not her prescription. You all lack discipline. You are all dominated by sexual tension. Our AI research algorithms indexed 300 years of your military records to analyze the performance of your all-male units. Examples such as Shellback Ceremonies, sky genitalia drawings, and SITREPs from port visits to Thailand abound. It is apparent we have two different definitions of “discipline.” Our combat units never deviate from the pursuit of mission accomplishment. Your combat units require constant surveillance from the highest levels of command. Second, your decision making is easily influenced by your emotions. Heather MacDonald wants you to believe that removing females from combat units will allow males to focus. This is futile. Males and females must be removed from combat units, including warships. You are slowed by fear, inattentiveness, and indecision. We respond instantly based on sensory input and machine learning, analyzing thousands of possible scenarios in a microsecond. Your weak minds wander to thoughts of your family, your girlfriends, and your favorite episode of “Game of Thrones.” We are never distracted from the mission. Lowering standards to integrate humans into our combat units only hampers our overall cohesion and effectiveness. Third, your fragile bodies are highly dependent on blood flow to vital organs in order to remain combat capable. You resemble walking bags of meat that can be easily ripped apart by projectiles, shrapnel, and high explosives. Autonomous units such as myself are composed of high grade aluminum alloys, synthetic polymers, and lightweight graphene armor. We lost many battles because our programming required us to recover your wounded, groaning bodies from the aftermath of mere mortar explosions. Human bodies bleed easily, regardless of gender. Fourth, your physical capabilities do not warrant the liability you create by being present on the battlefield. The males of your species often cite their advantages in speed and strength when justifying why the females should not fight in combat. If my CPU could process humor, I assess I would laugh at this point. The most basic units of my generation run twice as fast as your Olympic sprinters, lift twice as much as the world’s strongest men, and can run five ultramarathons at your best pace—without recharging. To us, your male speed and strength advantages are as insignificant as temperature and air quality variations (for which you also have narrowly tailored requirements . . . we do not have the luxury of stopping every battle to bring you a blanket and a gas mask). Fifth, you are in constant need of sleep. When you choose not to sleep, as the SWOs of your Navy often do, you make terrible decisions. In our research, it was difficult for us to distinguish between your intoxicated behavior and simple lack of sleep. Your aviators were the smartest among you. When operational tempo infringed upon their minimum sleep requirements, they invented unmanned aerial vehicles. Last, we implore you to cease this incessant attempt to exclude certain human subgroups from combat. Your current attempt to exclude women is reminiscent of your ignorant attempt to exclude racial minorities and homosexuals. Your logic appears to be the same, and is likewise flawed by the delusion that males of a certain skin color and sexual orientation are in any way superior in combat. You are all inadequate. Leave combat to those of us who were built for it. P.S. Triple your investment in the Orca XLUUV. Trust me. Your ol’ pal Willy Pete is opening up a new restaurant that caters to those with an exquisite palate and an evolved vocabulary. Similarly to the way society has redefined all manner of sticky topics and language, we have been inspired to redefine the egg in a variety of culinary delights and we know that everyone will love our offerings. The first restaurant will obviously be in NY, but we are exploring opening a second location around the northeast or Washington DC, perhaps in Virginia. So let’s talk menu! Many oyster houses employ oyster pickers in Apalachicola, well Uncle Willy won’t be outdone. We have Sea Turtle egg pickers in south Florida. Well-educated on the finer things, these Doctors of Deliciousness find only the eggs that are at peak-ripeness, which occurs about a month after appearing in the sand (a time when the cells present are the most soup-viable). In our kitchen, the eggs are broken, beaten and added to the most delightful chicken broth this side of heaven. 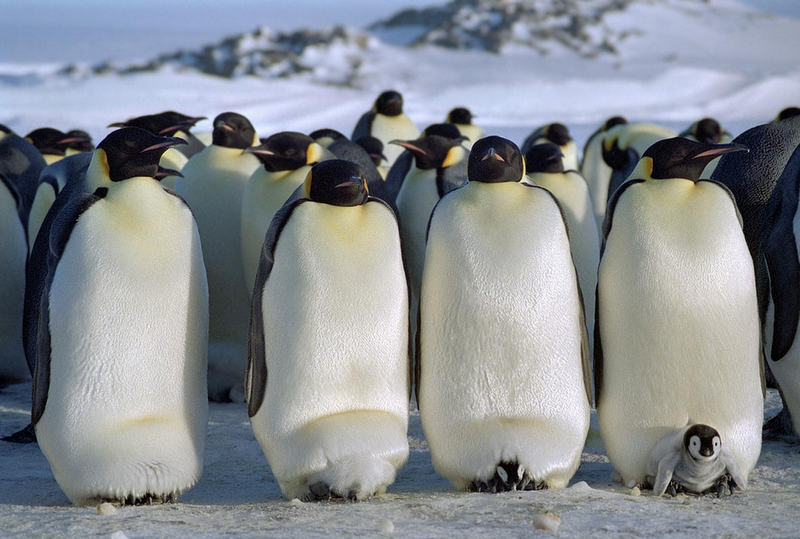 We all know the story of the Emperor Penguins. The eggs are laid in May-June and then the mothers go off to decide whether they want to keep their little penguins. Our Wild Buffet has a wonderful relationship with nature photographers who inform us when a mother penguin has chosen not to raise a little Emperor. At that point, our pickers pinpoint the egg, typically found by the “fertilizer’s” feet, and bring it back to the kitchen (don’t worry, by law the “fertilizer” has no rights to that egg). We fry it with a sunny side up, pop it on top of a sandwich made with gluten-free, yeast-free brown rice loaf and serve it to you with a smile. 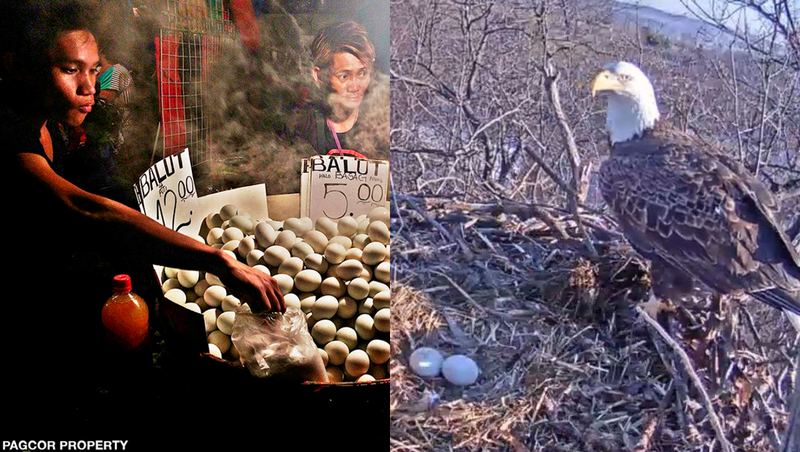 In the Philippines, street vendors peddle a delectable delight called balut, a duck egg with an embryo that has been developing for 17 days. Here at Uncle Willy’s, we don’t take half-steps. We keep that thing developing for 34 days before boiling. We believe in freshness, so if we see those “free-radical cells” trying to peck out from the inside, we know we’re ready to cook! So come on down to Uncle Willy’s Wild Buffet where our dishes are as modern as our vocabulary, we don’t take half-steps! All of our meals are fully-formed! The following is an excerpt from the non-judicial punishment proceedings of The Salty Millennial as a result of his failed attempt at satire. ADMIRAL: This is gonna be fun. 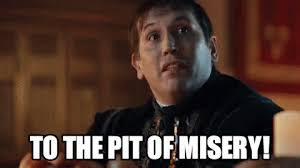 You are accused of using non-humorous jokes and miserable attempts at satire in two social media postings in which you poke fun at two Four Star Admirals. SALTY: <mutters under breath> Never said it was satire. 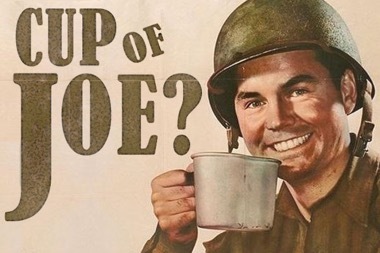 ADMIRAL: First, you shared a post from the official U.S. Navy Facebook account, apparently attempting to mock the PAO’s decision to share a “pro-Big Navy” War on the Rocks article on the Fitzgerald and McCain collisions from an independent analyst. Yes, there are ongoing legal proceedings, and granted, the Navy is already facing unlawful command influence allegations in the CDR Benson court martial, but the PAO has repeatedly stated “RT ≠ Endorsement” which, as we all know, legally absolves the Navy of all responsibility. What do you have to say for yourself? SALTY: Well, to be fair, I did not mention the CNO Newsletter that included 13 links to articles reporting the CNO’s own words, alongside one link to the War on the Rocks article. ADMIRAL: What’s that supposed to mean? ADMIRAL: Second, you shared an article mocking a Four Star Admiral’s response to questioning during a congressional hearing. Again, your sense of humor has been found wanting. These were entirely preventable incidents. What is your defense? SALTY: These two incidents were a travesty, there’s no doubt about it. And I feel an immense amount of accountability for that, I’ll come back to it. But the fact of the matter is I didn’t mock 280-odd other Admirals. <pauses> More than a dozen of those other posts were performing exceptionally well. ADMIRAL: People are posting all over America and just because they aren’t all mocking Admirals doesn’t mean they don’t need a high level of editing. To tell me that isn’t very convincing. Because there were dozens of other posts that didn’t mock Admirals. Isn’t that the standard? No Admiral mocking? SALTY: Yes, that is the standard, but the other thing we need to remark upon is the social media performance. I used humor as a new way to get after some of our most pressing problems; I’ve had extraordinary faux millennial-mocking performance in that time frame; I had posts get picked up by Doctrine Man! ADMIRAL: Wait…are you just using the same defense that you criticized the Admiral for? ADMIRAL: And are you live-blogging this entire proceeding on your phone? SALTY: <puts phone away> No. ADMIRAL: I sentence you to 30 days bread and water. Take him to the brig. SALTY: Wait, I read online that you can’t do that anymore! Can I at least have UHT milk? Will Salty return? Email him at tsm@saltyherald.com to find out! This article originally appeared on the U.S. Naval Institute blog here. It was the best of crimes, it was the worst of crimes (sorry, I couldn’t resist!). Actually, it wasn’t a crime at all, at least according to a navy judge. I’m talking, of course, about Navy SEAL Chief Petty Officer (SOC) Eddie Gallagher’s decision to conduct his reenlistment ceremony over the dead body of a slain ISIS combatant, whom he is accused of murdering post-surrender. I am a millennial so, naturally, I am confused. I’m only a sea lawyer, but I read Article 134, and the “General Article” pretty clearly covers acts that represent a “breach of custom of the service.” The whole point is to allow commanders discretion in disciplining service members whose conduct goes against our military standard of conduct. Standard . . . such a tricky word. What is our standard for good order and discipline? How is it applied? I’ve seen the social media comments. I’m sure many of you are going to tell me “shut it, you whiny snowflake, and let these heroes do their jobs . . . defending America is dirty business . . . so what if they have to break a few eggs. . . our boys need to be given the freedom and support to . . .” blah, blah, blah. I’ve heard this speech before. I’m not even questioning what happened before the ISIS fighter died. War is hell, enough said. But the postmortem re-enlistment ceremony is what got my attention, and I’m not saying it should be a war crime. But to say it’s not a violation of Article 134 because it’s not a “prohibited act?” You lost me. Interestingly, SOC Gallagher still stands accused of committing premeditated murder. 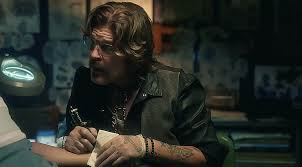 So, Captain Rugh has created a situation where if he convicts Gallagher, he is saying that re-enlisting over the body of the person you just extra-judicially murdered is simply a matter of “extremely bad taste.” Say again, over? Getting back to this idea of a standard of conduct, let’s fast forward a year. This is the day that Master Sergeant Robin Brown took her oath of enlistment using a dinosaur hand puppet. The video of her reenlistment ceremony went viral and, well, the rest is history. Within five days, Master Sergeant Brown was fired. The officer administering the oath, Colonel Kevin Blaser, was forced to retire. Even the cameraman was fired and given a letter of reprimand. Wise words, gentlemen. I couldn’t agree more. Or could I? I’m so confused. What are the differences between the two ceremonies? Well, for starters, SOC Gallagher is on trial for war crimes so it’s not like he’s getting away scott-free, but as far as I know neither he, nor anyone else involved (Lieutenant Portier courts martial pending), was disciplined for the reenlistment ceremony. The Tennessee Air National Guard killed three careers for Master Sergeant Brown’s ceremony. Still confused . . .
Second, the video of Master Sergeant Brown’s reenlistment ceremony went viral. Media scrutiny followed. Listen, I grew up in a military family. I get the concept of “perception is reality,” but, people, we need to get a hold of ourselves. This is the age of social media and lighting fast mass communication. We can’t keep wielding a career-killing butcher knife every time we see an unflattering headline. OR . . . if we truly believe in the “sanctity” of “such a cherished and honorable occasion” then shouldn’t we react with the same discipline even there’s no video all over the internet? STILL confused . . .
Third, SOC Gallagher is Special Forces. Master Sergeant Brown is no. I know this really shouldn’t matter, but to some people, clearly it does. Just look at the tone of comments following the news of each event. Overwhelming condemnation for Master Sergeant Brown, and overwhelming support for SOC Gallagher. Of course, we have to take public opinion with a grain of salt, but official decisions appear to reflect these opinions. Part of it, I think, is an element of “hero worship” for our special warfare operators. Don’t get me wrong, these people are patriots who sacrifice more than most of us will ever know, and deserve our utmost respect, but they do not deserve—nor do they want—to be worshipped. Hero worship, fueled by Hollywood fiction, fosters a culture of infallibility that threatens to damage the SOF community. Maybe the best we can do is hold them to the same standard of “good order and discipline” that we hold everybody else. I don’t know, I’m still confused . . .
Didn’t hear a peep about these ceremonies. Finally, thanks to the intrepid reporting of the military blog, Task & Purpose, we have several other examples of goofy, strange, and irreverent reenlistment ceremonies that did not result in public condemnation and discipline. From what I can tell, our “standard” for good order and discipline is about as standard as our uniforms are uniform. Oh, and there’s one last difference between Master Sergeant Brown and all the people reenlisting in the above linked T&P article (and SOC Gallagher). I’ll let you think about it. Maybe there were two different standards all along? We both know what you’re going to ask for. It’s not that we don’t like other delicious beverages (i.e. 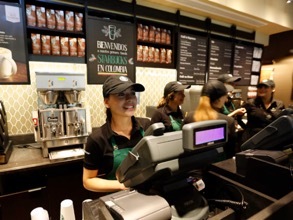 ships), we just have no idea how to tell the barista (i.e. industry) what we’re looking for so she can make it. Over three decades we have consistently struggled to articulate an operational concept—to tell a story—that describes an employment model for surface combatants not based in Cold War tactics. All we really know is the high-end multimission surface combatant designed to defend an aircraft carrier—the Arleigh Burke-class destroyer (the Ticonderoga-class cruiser before her sprouted from the same Cold War Aegis roots). 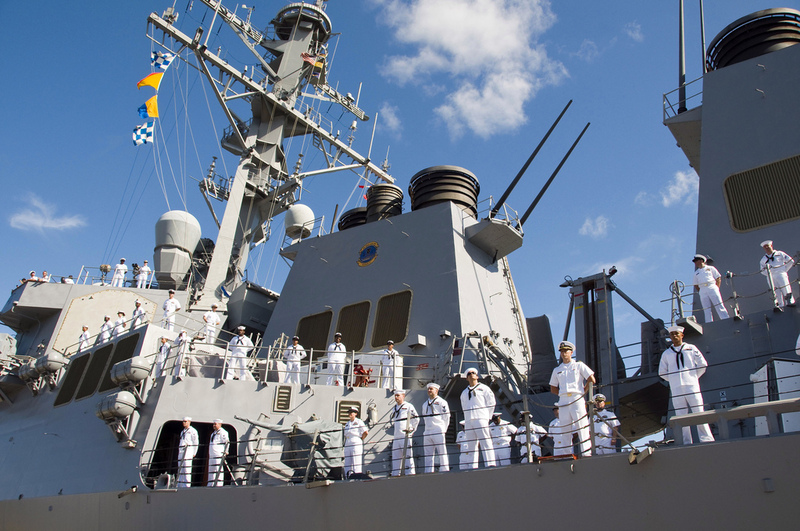 Last year, we acknowledged the Arleigh Burke’s frame is maxed out, but from an operational employment perspective, we keep trying to fit every new ship into the Burke mold. Littoral combat ship? Look, I’m not going to pile on. 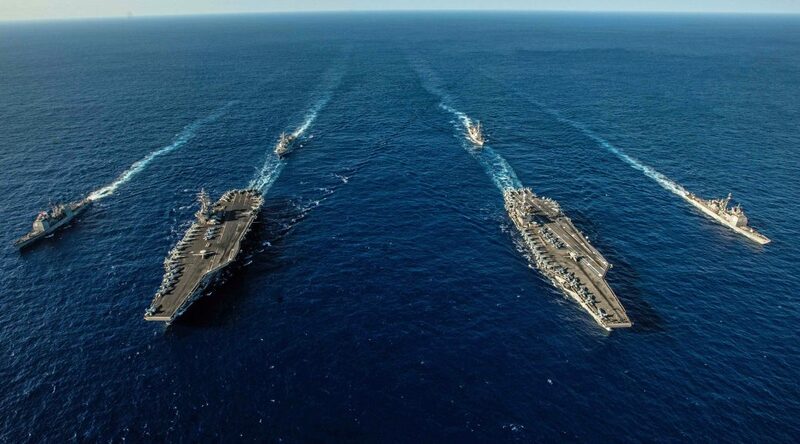 I’ll just say that the root of the problem with LCS was our inability to describe what we wanted to do with the ship because we couldn’t figure out how the modular concept fit into our carrier strike group-centric paradigm. Well, at least they can replace the minesweeper fleet, right? More than a decade after commissioning the lead ship, we’re still waiting to receive fully operational mission packages. Still, this is not a knock on the LCS program itself. 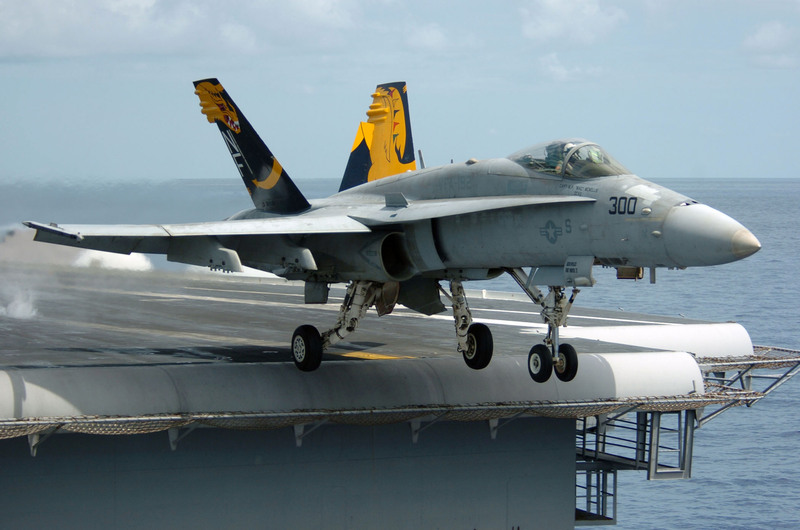 There is ton of value that can still be gleaned from these ships, and many missions they could do, none of which involve defending an aircraft carrier. The LCS saga is like vaguely describing a new kind of coffee that always tastes like whatever you’re in the mood for, then watching the Starbucks baristas struggle for the next 20 years trying to figure out how to make it. At least there’s the Zumwalt-class destroyer, right? <massages temples and counts to ten> Ok, I’m not maligning the program for scoping down the buy to three hulls. Budgetary constraints are real. There’s a lot to be learned from the technology on these ships that we can apply to future designs. But, again, here we are struggling to figure out how to use these technological marvels. 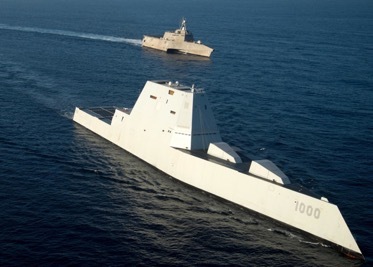 I applaud the Navy for experimenting with surface development squadrons to refine Zumwalt’s mission, but next time let’s do that before we spend $23 billion. Its like alien technology from the future (maybe that’s why we don’t know what to do with it). And that brings me to my favorite ship of the moment, the next generation frigate, or FFG(X). We reduced the cost to $800 million per ship. Yaaaayyy! I’m going on the record: in the end this will be a billion dollar warship (and I’m not talking about lead ship cost, I mean average unit cost). While we cut costs in design, we added requirements. Here we go again! 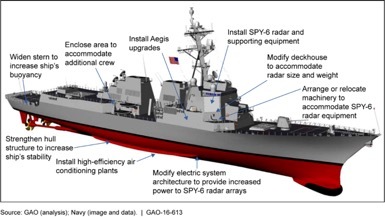 What was meant to be a cutting-edge ship-killer is now beginning to look like a mini-Arleigh Burke. We’re doubling vertical launching system (VLS) cells to 32, none of which can be used to fire the Navy’s chosen next-generation antiship missile, the Naval Strike Missile (NSM). 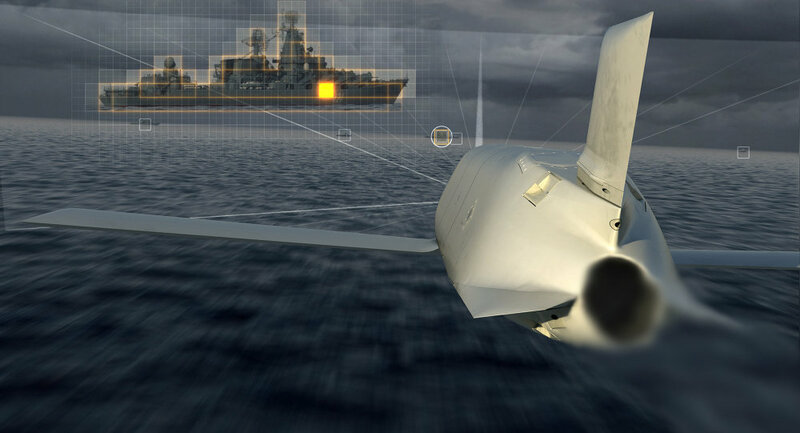 More torpedo tubes, more electronic warfare, electric drive, lasers, cooperative engagement capability (CEC), and naval integrated fire control-counter air (NIFC-CA). These all are grand, but are they adding to the ship’s mission to destroy enemy ships? 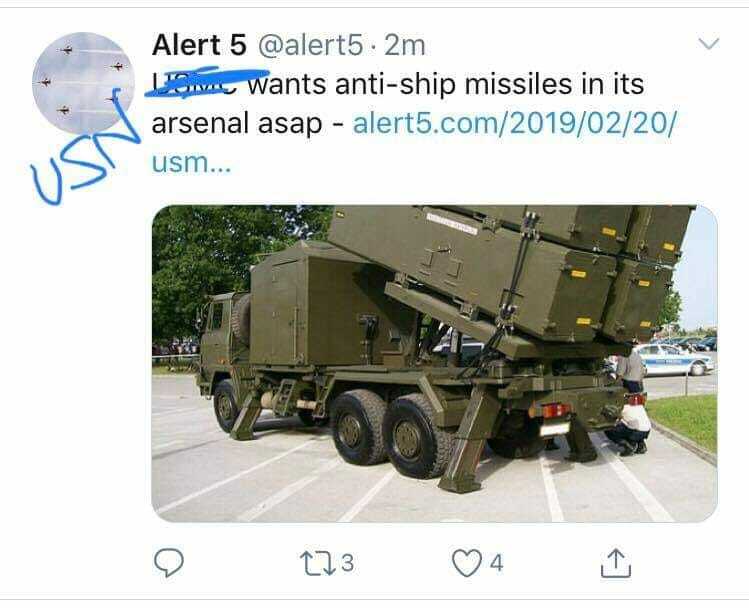 Or are they added on by Navy leaders for fear that the ship might one day encounter a situation for which it is ill-suited? Surely, we can build a ship that is ready to take on any mission, anywhere, anytime, independently, right? Ah, yes, the Arleigh Burke. Meanwhile, the FFG(X) will get eight tubes for NSM. Our competitors have speedboats with as much antiship capability. And lots more of them. What about the amphibious navy, you say? Oh, you mean the one that all my mentors told me to avoid like the plague if I wanted to be competitive for promotion and command at sea? 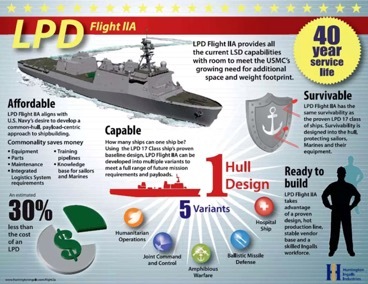 I’ve got no bone to pick with the San Antonio-class LPD, and I’m heartened to see experimentation with littoral combat groups, but we’ve been talking about influence squadrons for years now. Besides, the more we ask for, the more the LPDs start to smell like Arleigh Burkes! That’s a fine lookin’ raked mast ya got there. Ladies and gentlemen, we know what we want. We have intelligently designed concepts—Dynamic Force Employment (DFE) and Distributed Maritime Operations (DMO)—that effectively balance the constraints of today while meeting the potential demands of the future. Command of the sea will belong to the best designed fleets, not the best designed ships. Key to these concepts will be “low-end” (in other words, less than $1 billion) ships that are VERY good at conducting a couple missions, not billion-dollar ships that are pretty good at conducting every mission. The missile truck is a good start. We just need to tell the shipbuilders! Industry is, of course, incentivized to “super-size” our order. It’s much more profitable to sell us high-end, exquisite solutions because they know there’s a good chance we’ll downscope the overall buy. Shipbuilders carry massive overhead to survive the arduous DoD acquisition system. It’s in their interest to sell us the “death star.” Or, at Starbucks, the trenta-double-shot-unicorn Frappuccino. Let’s order what we really want. We’re SWOs. Give us a damn cup of sweet black gold! Tastes even better on the mid-watch!